Established in 2010, we Gungunwala Food Equipment, an ISO 9001:2008 company are listed amongst the prominent manufacturer and exporter of an extensive range of Food Processing Machines. These machines are manufactured and designed by using optimum quality material and are available in various specifications to choose from. 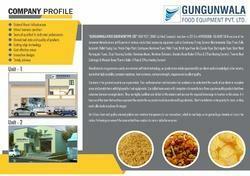 Our product range includes Semi Automatic Potato Chips Line, Semi Automatic Banana Chips and Pellet Frying Line. These products are highly demanded by the various industrial for their reliable functioning, high tensile strength and longer working life features. We are offering these products in customized options also as per the detailed requirements of our clients. All our offered machines collection is quality assured against the industry set parameters to ensure their quality. We have established a sound infrastructure that is well equipped with all requisite equipments and upgraded machines which help us to cater the bulk requirements of our prestigious clients. At our infrastructure, we have employed a team of highly skilled and talented professionals which work passionately to provide our clients a quality approved product range which is in compliance with the clients given specifications. For the streamlined execution of our business operation, we have segmented our infrastructure unit into various functional parts such as quality, warehousing, manufacturing and R & D. With our client focused approach and fair business deals, we are serving to our clients by providing them products as per their choice and demands. We export our products across the globe. We are operating our business under the valuable support of our mentor Mr. S.P. Singh (Proprietor). Owing to his quality centric approach, vast industry experience and in-depth knowledge of this domain, we have been able to touch such peak of success in short span of time. Extensive R & D has helped us carve a niche for ourselves, despite being fairly new to the industry. We give due importance to research & development and have allotted a separate wing for the same. 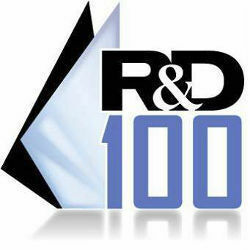 The R & D department is manned by experienced professionals, who are well-versed with the nuances of the trade. These professionals conduct in-depth market surveys, so as to keep a tab on the latest developments. Further, we strive hard to find more economical ways of production through R & D, so that the clients can be provided with more affordable options. We have been supported and backed by a team of well qualified and talented professionals such as production experts, sales & marketing experts, skilled & semi-skilled labor, quality controllers and administration personnel. After through assessing their knowledge, skills and previous working experience on different selection procedures, our employees are recruited by management. Our procurement professionals select various suppliers based on their market reputation, credibility and ability to manage bulk demands of the basic material for the offered products. In addition to this, they hold vast experience in their respective domain. 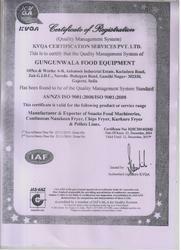 “GUNGUNWALA FOOD EQUIPMENT PVT. LTD.” (ISO 9001:2008 Certified Company) was born in 2010 in AHMEDABAD - GUJARAT INDIA are one of the renowned Manufacturers and Exporter of various snacks food processing equipment such as Continuous Frying Systems like Automatic Chips Fryer, Fully Automatic Pellet Frying Line, Potato Chips Plant, Continuous Namkeen Fryer, Pellet Fryer, Batch type Fryer like Circular fryer, Rectangular fryer, Direct Heat Rectangular Fryers, Chips Flavoring Tumbler, Namkeen Mixers, Namkeen Extruders, Wooden Based Boiler (3 Pass & 2 Pass Heating System), Thermic Heat Exchanger & Wooden Based Thermic Boiler (4 Pass & 3 Pass Heating System).